Now that I’m in my 30’s I realize I have so much more figured out than I did even 5 years ago. I have a great relationship with my parents, an adoring husband, and loyal friends. I go to dinner parties, send thank you notes, give random strangers a smile and compliment, and definitively take my coffee light and sweet. But, it’s the quiet moments in between I still wonder, “What the hell am I doing?” In Writer/Director Ned Benson‘s latest film The Disappearance of Eleanor Rigby, we find a couple at the beginning of the end of their marriage. Husband and wife want different things and neither knows how to cope. The slow deterioration of a man and woman once much in love is a sad, but all too true story we all know. This one particular is unique in the fact that it it told from two very different points of view. Benson takes a look at what happens when we let that little voice inside take over the conversation. Eleanor and Conor are reeling from a loss. This is a perfect example of how differently men and women react to certain situations. Head Vs Heart. Ignorant bliss Vs deafening despair. As the two separate, Conor tries desperately to regain the love of Eleanor. She is so far beyond the past as the present haunts her every minute. She battles her own mind as she tackles what should come next. The sense of being lost permeates the entire film and thus makes this story 100% relatable. 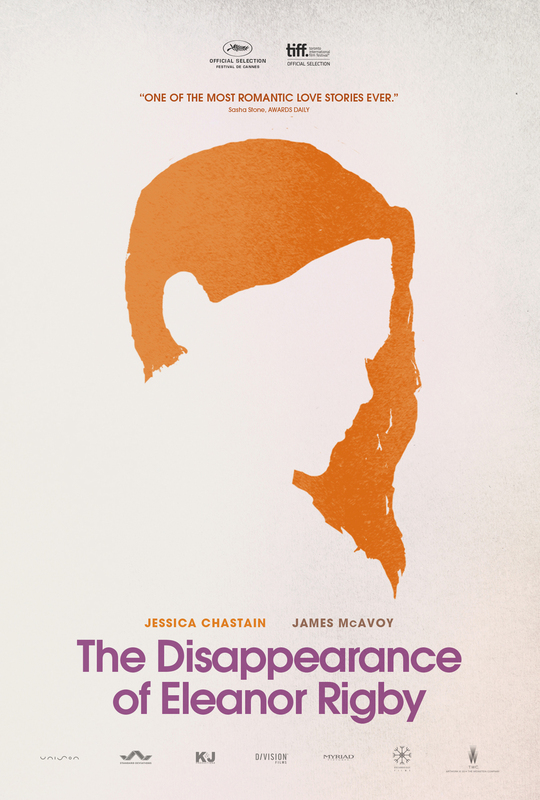 Benson has created an extraordinarily touching narrative with The Disappearance of Eleanor Rigby. With New York City as a backdrop, you already have cinematic gold. The film is quietly powerful, emotionally sharp, and tackles the age old question that we’ll always struggle with, “What now?” You can see The Disappearnce of Eleanor Rigby in theaters tomorrow. This entry was posted in Features, Go To The Movies, in theaters, News, Poster, Release, Trailer, What To Watch This Week, Woman Lead, Women in Film and tagged Bill Hader, Isabelle Huppert, james mcavoy, Jess Weixler, Jessica Chastain, Ned Benson, The Disappearance of Eleanor Rigby, Viola Davis, William Hurt by Liz Whittemore. Bookmark the permalink.